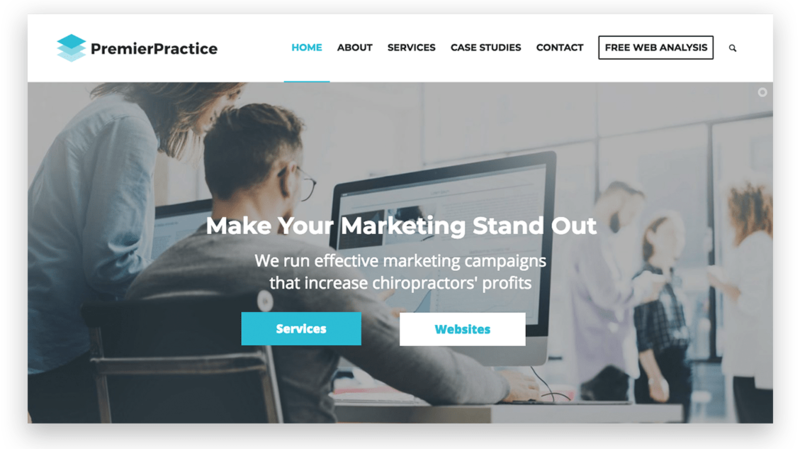 This website showcases the services of Premier Practice, a chiropractic marketing business. 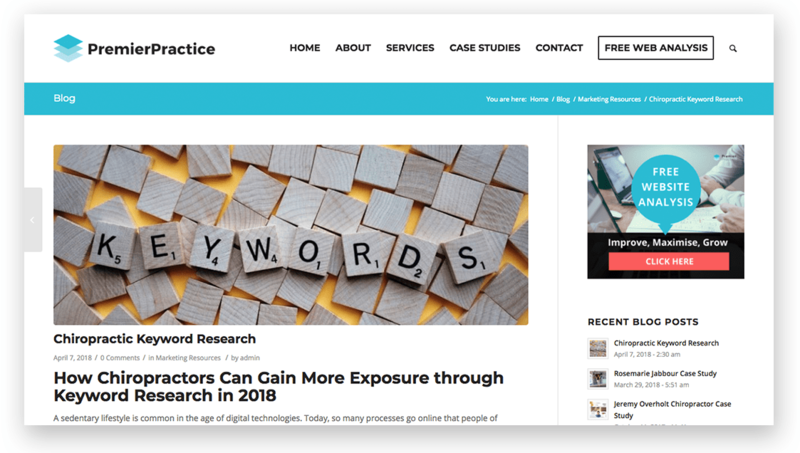 The design boasts a clean and modern design aesthetic to help their content and service offerings stand out. Effective use of brand colours in prominent places draws attention to various calls to action. 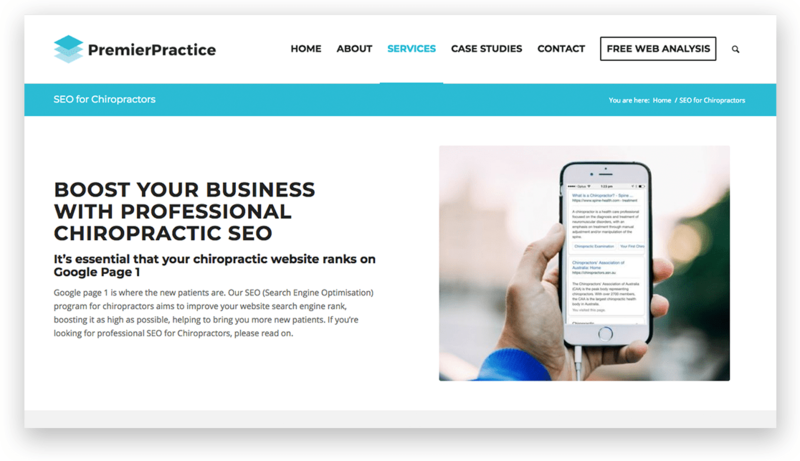 This site is a great example of website design for business owners, marketing agencies and consultants.